Cannes is a city synonymous with a refined atmosphere, famous movie stars and lux restaurants and hotels. Every summer this French coastline is teaming with people enjoying the Mediterranean Sea breezes and chic surroundings. Recently the elegant Intercontinental Carlton Cannes was in the news and although it made the headlines due to a jewelry heist that seems to have come right out of the movies, this luxurious hotel welcomes the most prestigious clientele with amazing amenities and top-notch service. 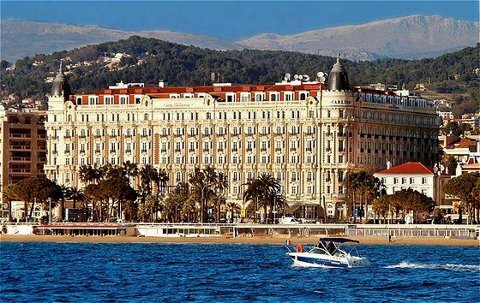 Let's take a peak at what the city of Cannes and the Carlton Cannes Hotel have that will tempt you toward a future vacation to this iconic coastal community. It really was no surprise that the Intercontinental Carlton Cannes was displaying an estimated $136 million dollars in jewels. This exclusive hotel was the perfect setting to enjoy a jewel exhibition. Opening it's doors back in 1912, The Carlton promised to be the greatest and most luxurious hotel in Cannes. This structure boasts an iconic facade with marble colonnades that proved elegant enough to welcome Russian royalty. But as exciting as hosting foreign aristocrats is, that isn't where the rich history of this hotel ends. 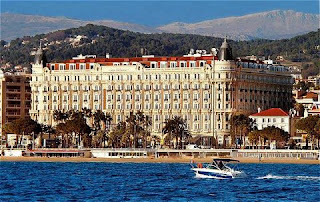 In 1922 The League of Nations met here and in 1946 the Cannes Film Festival debuted its festival on the hotel grounds. And not to be overshadowed, in 1954, Alfred Hitchcock filmed his "To Catch a Thief" at the Carlton. This seems somewhat fitting to film a fabulous picture in a city known as the queen of world cinema and in a hotel that held the very first Cannes Film Festival. This impressive history helps to create an aura of sophistication at this beautiful coastal hotel. The classic French Style found here welcomes guests with loads of charm. 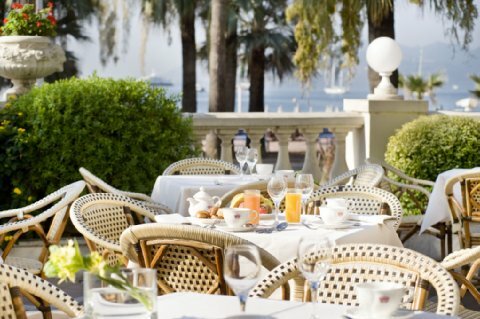 Situated on the beach overlooking the Bay of Cannes, the Carlton is a prestigious hotel that has welcomed important guests for a century. Stay in a fantastic suite that overlooks the bay and enjoy amazing views in a posh setting. Sit on the private beach with a cocktail or head to the swanky beachfront restaurant owned and operated by the hotel. After indulging in the rich and delicious food at any of the 2 spectacular hotel restaurants or one of the 2 lounges, you can hit the fitness center to ensure you remain in tip-top shape during your vacation. No extravagance has been overlooked, your stay at this historic hotel will be of the highest quality in every way. When booking your trip to Cannes, let WhatAHotel! assist you. We provide our customers with Exclusive Complimentary Perks that will absolutely add to your trip. Plan your trip to Cannes and see all of the affluence and splendor found here. 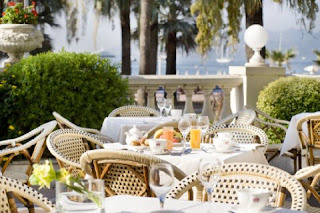 With a stay at one of the Best Hotels in Cannes, The Intercontinental Carlton Cannes, you will surely find travel bliss.